But no one told the punters and the girls so all the action is outside. Some real nice lookin' guys in frocks there... Did you score??? Is anywhere open tonight? 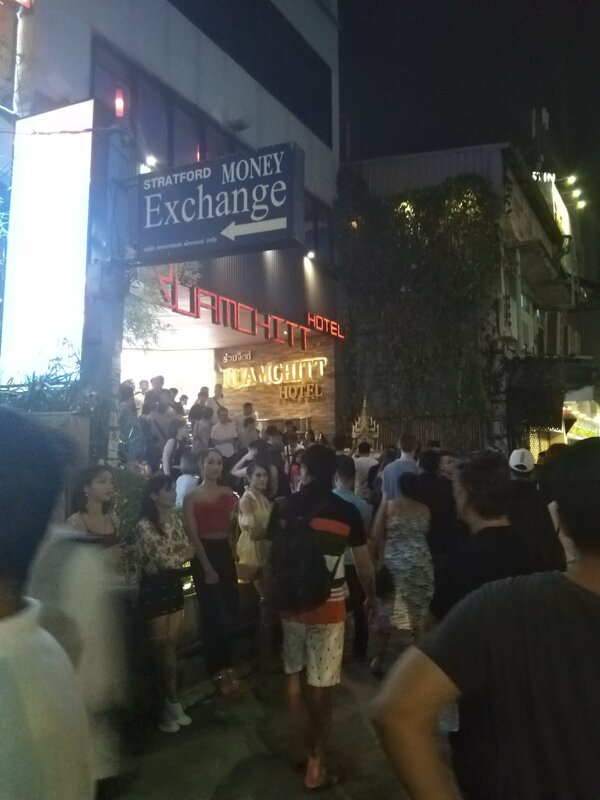 I'm near Soi 33/1 and it's quiet here. Doubt i've been in there since 03. They tell me mixx is open but it's too early. Ahh... it's "erection" time... Many alcohol serving establishments around my area today seemed to be closed or not serving. Thais go to the polls on Sunday for the first time since 2011, which also means there will be a 24-hour alcohol ban this weekend. Alcohol sales and distribution will be forbidden from 6pm on Saturday to 6pm on Sunday. Perhaps not the best night to be out seeking livelihood in Thailand/BKK. Given that a lot of foreigners are only interested in 2 activities here in Thailand, on the days that no alcohol is served, the other activity should be booming. Or is it boom-booming? You mean temple visits or Thai cooking classes??? Well seriously, the guys were all lined up on the steps of the Rauamchitt, the girls and ladyboys lined up on the street, there was even a chick from Argentina (not very good looking). It was like a High School dance. Nana was dead. Soi 11 was dead. Mixx was closed. I had a Quesadilla at Margarita Storm. It was the Bomb, highly reccomended. Surely everything's shutting for the election?